Comes with comfy suede / leather padded shoulder strap. Bag has 4 Air Cushions in 2 compartments you can safely carry 2 notebook computers - or a notebook and a portable printer. The 3rd compartment has pockets for CD's, floppies, pens, files, and other essentials. Outer zippered pockets are handy for tickets, cell phone, and newspaper. The largest in PORT top-loading "mobile" family, following the Mobile Plus and Mobile Suite. 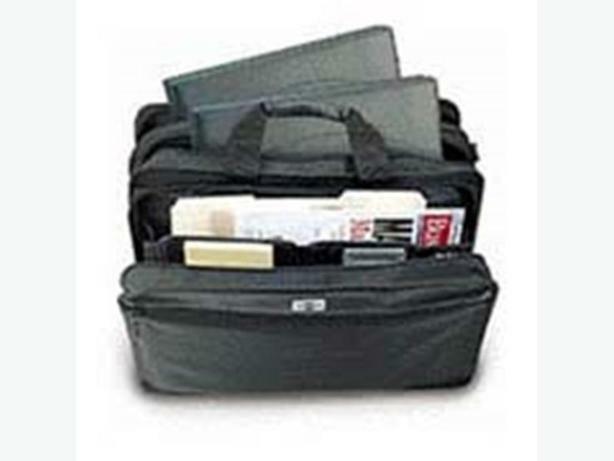 - Full of Organizer Pockets, Compartments to keep everything in place and organized.